Wow, what a powerful weekend we had at TKC London! Sunday prophetic words were given and the anointing of joy and laughter was so strong. This is a confirmation to let you know that God is about to bless you. He is about to prosper you and see you through. This is the time that you will begin to flourish. Out of nothing, you are going to see God raising you up and you are going to become a blessing. Child of God there is something inside of you that is so precious to God., you are the only one caring about your family. You are the only one caring about peoples success. You have a different heart, you are different, you don’t think bad about people even though there are people around you that have been laughing at you, they have been finding joy in your misfortune. But from today the tables are about to turn, you will begin to see the joy and your life will begin to flourish. There is a special anointing and favour this is going to be activated in your life. You are going to be moving from favour to favour, blessings to blessings. There is something about the God that we serve. He is a God of legacy! It is not too late for you! Your case has come before the throne of God and it is time for you to be blessed! Yes, there are blessings that are yet to be activated in your life that only you can open up. The Lord showed me in your life there has been so many oppositions before you. When you make up your mind to do something this is when challenges or obstacles and people come and quarrel with you. But today I want to let you know God has heard your heart and these days of obstacles and oppositions are over! You will succeed and this time you will flourish! Your finances will flourish! Your business will flourish! Your Relationship will flourish! Your marriage will flourish! Your life will flourish as you are not going to do things like everyone around you! God is going to raise you up! 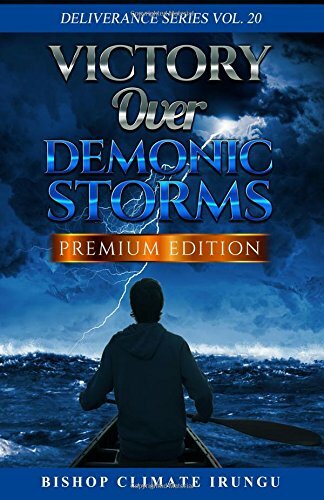 Do You Want To Overcome Every Obstacle And Every Demonic Storm..? It’s Time For Your Victory CLICK NOW! ARE YOU READY TO FLOURISH…? CLICK NOW! Also, you can Purchase products here at these phone numbers listed below! Monday 13th November join us for Kingdom Men and Kingdom Women at 6:30PM! Come for a session of advice, tips and more meeting with Kingdom Men group and The Kingdom Women! Join us for our Monday Deliverance Session starting at 7PM! Today Tuesday 14th November join us at 7PM TKC Seniors (60+) Come and hear fresh insight of biblical study, wisdom and fellowship! Tomorrow Wednesday 15th November Join Us in our Corporate Fast 5AM – 5PM and For Our Mid-Week Boost Service at 7:30PM! Join Us at This Friday 17th November 7:30PM For The After Sunset Miracle Service! Join us for a Friday evening with a difference! Come and experience healing, deliverance instant miracles and testimonies and so much more! Friday 17th – 19th The Kingdom Church Kenya Presents To You Open Doors, Anointing Healing Miracle Conference! With The Prophet Of God Himself Bishop Climate Irungu. Come for this special Miracle Service! For More Details See Flyer Above! Join Us This Super Sunday 19th November At TKC London For Super Sunday!